Ford stayed in the top spot among Canada’s automotive brands in February, delivering a total of 18,505 vehicles during the month. 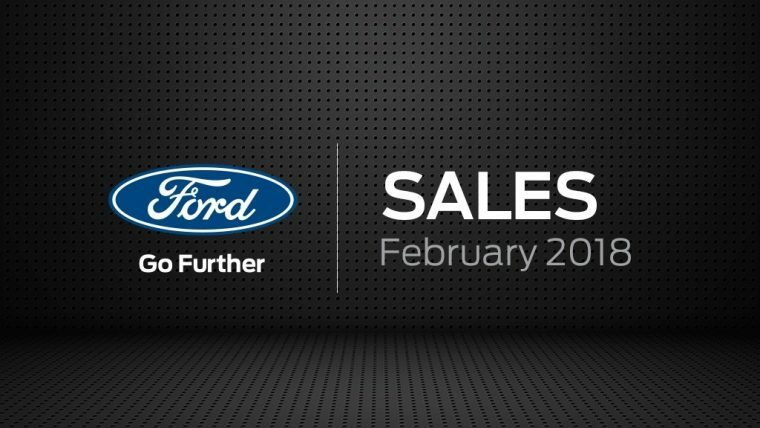 Ford’s sales were down 2.5% year-over-year from a total of 18,985 vehicles delivered in February 2017. Ford car sales were down 4.7% in February at 2,082 delivered. Sales of the Ford Mustang were up 3%, Focus was up 13%, and Taurus was up 45%. Ford truck sales—including sales of SUVs and vans—fell 2.2% in March at 16,423 vehicles delivered. Sales of the E-Series were up 71%, sales of the Transit increased 70%, Transit Connect sales rose 71%, Escape sales were up 4%, Edge sales rose 6%, sales of the all-new Ford Expedition increased 3%, sales of the all-new Lincoln Navigator rose 45%, and sales of the Lincoln MKT were up 71%. Sales of the new EcoSport totaled 446 units, up considerably from its first month on the market. Through the first two months of the year, Ford of Canada’s sales are down 3.4% at a total of 34,970 vehicles delivered. Car sales have declined 8.2% at 3,714 vehicles delivered, and truck sales are down 2.8% at 31,256 vehicles.